Henry is Chief Executive Officer of LaingBuisson. 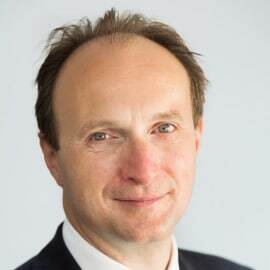 In addition, he is non-executive Chairman of Elizabeth Finn Homes, an advisor to the International Longevity Centre, and a trustee of Turn2Us, a national charity fighting poverty in the UK. Henry was an investment banker for nearly 20 years, advising healthcare companies across Europe. He started his career as a lawyer with Linklaters in London, New York and Washington before moving into banking with Rothschild, UBS Investment Bank and Jefferies, where he was Joint Head of European Healthcare Investment Banking. He has an MA in Law from the University of Oxford.